As his first move as administrator of the EPA, Scott Pruitt has ended an Obama-era request for oil and gas companies to provide the agency with information on greenhouse gas emissions. On Thursday, the EPA announced that those oil and gas companies will no longer be required to submit information about their greenhouse gas emissions to the agency. In a press release, Pruitt said that he would assess the need for gathering such information, but said that the withdrawal from the Information Collection Request (IRC) would be effective immediately. “The burden of the request is disproportionate to its benefit,” the letter reads, citing an estimate from the EPA that put the cost of completing and responding to the survey at $1,100 to $5,800 for each company. 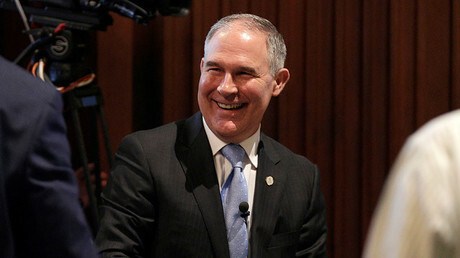 “This is precisely the kind of cozy collaboration with the worst actors in the oil and gas industry that dogged Pruitt throughout his controversial confirmation process,” Brownstein said. The IRC was introduced as part of former President Barack Obama’s Climate Action Plan to reduce methane emissions from the oil and gas sector by 40-45 percent from 2012 levels by 2025. Climate scientists at the EPA say the largest source of methane emissions in the US comes from natural gas and petroleum systems. Today I was told cattle are the primary source of methane emissions into the environment. While scientists at the National Oceanic Atmospheric Administration (NOAA) say methane is the second largest contributor to global warming after carbon dioxide, the emissions are 28 times more effective at trapping heat than carbon dioxide in the atmosphere over a 100-year period. 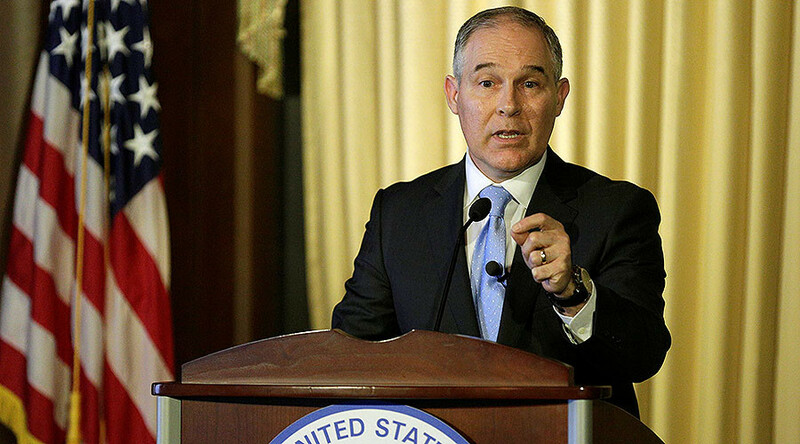 "It's absurd that one of Scott Pruitt's first acts is to refuse information on a dangerous pollutant," Melinda Pierce, legislative director for the Sierra Club told The Weather Channel. "Just because he doesn't want to hear the truth on the dangers of methane from oil and gas operations, doesn't make it any less dangerous to the millions of Americans that are forced to breathe this pollutant in on a daily basis," she said.